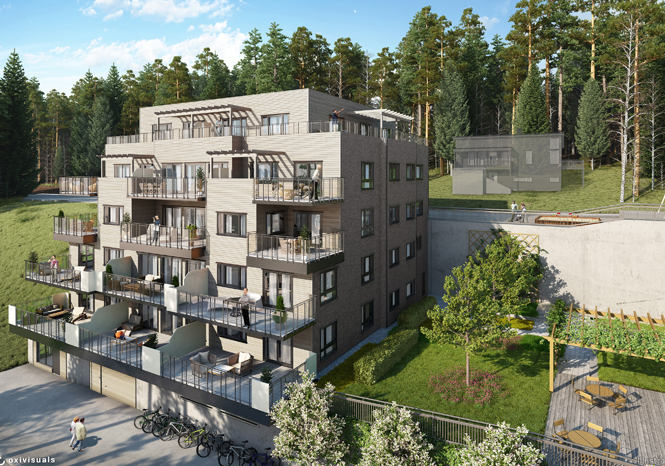 Background: Bergås Terasse is a new condominium complex, under construction in the outskirts of Drammen, some 50 km west of Oslo. It consists of three block buildings with 14 apartments each and a common garage underneath. 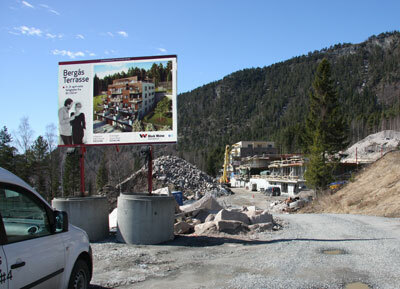 The first families will move in into the apartments in the summer of 2013. 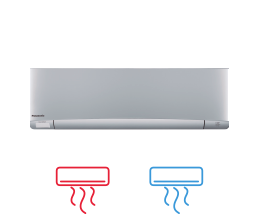 Project Challenge: Norwegian regulations prohibits the use of oil or gas heating, or electrical radiators for heating new houses. It also stipulates that a minimum of 60 per cent of the energy consumption has to come from alternative/renewable sources. 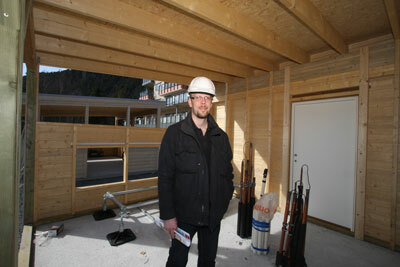 District heating was not an alternative, as it isn’t available at the location. And a geothermal energy system was too expensive. 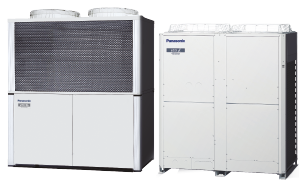 Solution: An air-to-air heat pumps provide the heating, and is combined with a heat recovery system. 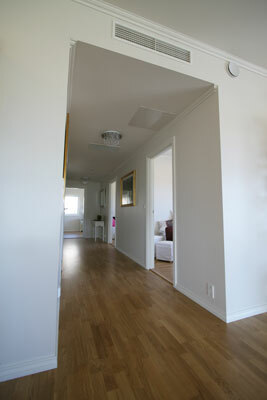 Each of the apartments has its own duct unit. There is also an additional four wallhanged units per house for the common areas (entrances and staircases). 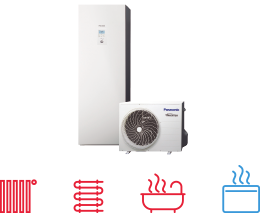 The hot water is produced with air-to-water heat pumps. The outdoor units are placed in separate building, to reduce noise, save valuable indoor space and facilitate service. Building Energy analysis: The houses are built according to the very strict Norwegian building code TEK10, and have very low energy consumption for room heating and production of hot water. 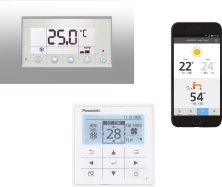 Control: Panasonic Intelligent control with energy distribution for central controller, with web setting for monitoring from distance. Each apartment has a Panasonic Simplified controller installed. 3rd Party Comments: Mr. Niklas Kiiveri (EcoConsult A/S, Project manager company): There have been many difficulties under way in this project, but so far they have all been solved during the process. There is no other project in the Nordics to compare with, so with help from Panasonic we went out in Europe to find one that was as alike as possible. We also had to build up a “new” in house faculty understanding parallel to the plumbing, electrical, ventilation and carpenter competences already well-established in the construction team. The buildings might also need place for a cooling system. 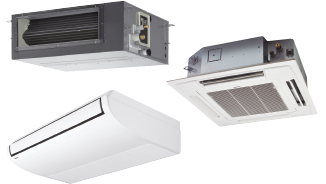 But our first opinion is that the VRF system absolutely is here as a viable solution for the future building culture in the Nordics.